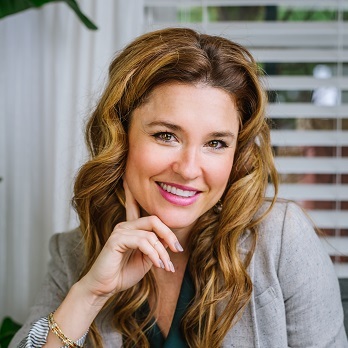 Dr. Dani McVety, founder of Lap of Love Veterinary Hospice, which was named a GrowFL Company To Watch in 2017, has a passion for entrepreneurship that has grown in her from an early age. "Entrepreneurship is a personality trait that means you will out work anyone," she said. "You outwork your competition because you're so driven by that passion. I was raised by two very successful entrepreneurs who did a fantastic job showing me what work ethic was. My first business was when I was 16. I'd take my miniature horses to birthday parties and charge for it. I learned very quickly the value of growing a business and missed opportunities and that I was the best investment I could make. There's a return on your time that's extremely valuable. I work really well with others, but not necessarily for others." Lap of Love Vetrinary Hospice is a nationwide veterinary practice dedicated to home based veterinary hospice and euthanasia. "We provide the most peaceful end of life experience for pets and the people who love them," Dr. McVety explained. "In the veterinary world, there are some doctors that come to the home but what sets us completely apart is that we provide the type of experience that’s rare to replicate in a clinic or even a home." Dr. McVety could not be prouder of her team and doctors to be recognized by GrowFL as a Company To Watch. "I am so honored," she said. "When I'm able to help the people who work with us feel the impact of what we do, it's very gratifying. We're blessed to be in that special niche space where we get to make a difference everyday so when the doctors and team and franchise group as a whole are publicly recognized, it continues to elevate the feeling they have when they come to work. To see them in that limelight is everything." McVety's advice for aspiring entrepreneurs is to read The Millionaire Mindset by Thomas J. Stanley and Ready, Fire Aim by Michael Masterson. "The best advice I can give is to make sure you do it," she urged. "Ready, fire, aim is not only a way of life for me but also the title of my favorite business book. Make sure you have a viable product. If no one is willing to pay for it, then all you have is a hobby. It's when people are willing to pay you for what you're offering that you have something that’s actually valuable. You must listen to your consumer base. Ask them what they think about a product or service. Don't ask them what they think of a business, because you won't get as valuable of feedback as if you ask specifically about that product or service."